Our commitment is to providing reliable service, superior customer care and honest advice. We’ll ensure you enjoy an authentic Israel experience that is truly unforgettable! 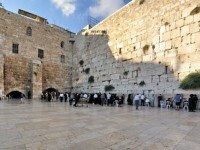 Tiferes Travel is devoted to helping people like you navigate their visit of Israel. We handle your trip from beginning to end with services like discount hotel booking, car rentals, cell phone rental, guided tours and VIP airport service. Visiting Israel is a fun and meaningful experience, but sorting out the technicalities of where to stay, what attractions to see, and how to get around can be daunting. Located in the heart of Jerusalem, our experienced and knowledgeable staff is dedicated to providing top-notch American customer service to help you plan the trip of a lifetime! Around 7 years ago Tiferes Travel opened thus expanding to include all sorts of trips to Israel–from relaxing getaways to exotic adventures and more. Whether it’s hotel accommodations, car rentals, tour bookings or event planning, Tiferes Travel does it all! Join the ranks of satisfied clients who have returned again and again to appreciate the timeless beauty of Israel.